If you’re an avid follower of interior decor trends like we are, then perhaps you keep an eye on which colour schemes and combinations trend in and out of style depending on the season. This spring, lovely shades of blue and brown paired together are taking the decor world by storm and we’re so pleased by how nice those hues look together that we’ve decided we just might have to include them in some of the updates we were thinking of doing around the house before summer comes! We’ve had our eyes peeled for weeks now on all kinds of decor concepts, project ideas, and ways that we might use our creative and DIY skills to add a little more blue and brown to our home. Are you the kind of person who loves to do some research and gather inspiration before you get down to business on choosing pieces and putting them together for good? In that case, we’d absolutely suggest taking a look at Home Improvement Day‘s discussion about how best to put the two shades together! 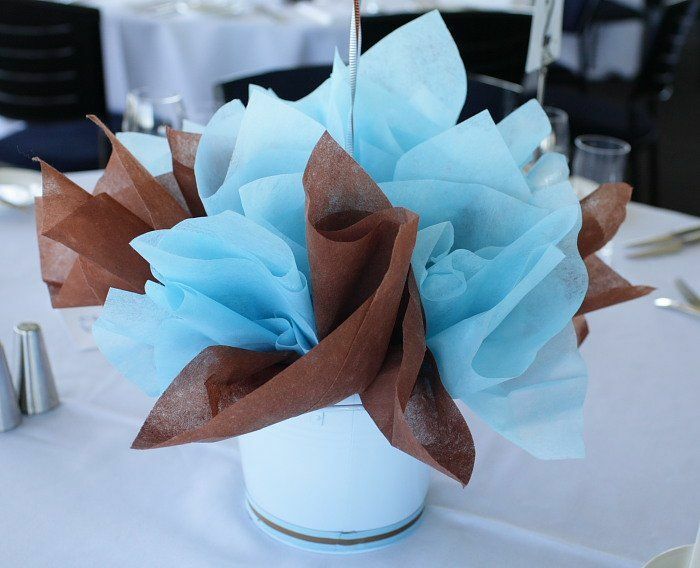 We enjoy their suggestion for combining medium shades of blue and brown in a statement piece to give the room a calming centre, while also including a few coordinated matching brown and blue pieces elsewhere in the room for a bit of cohesiveness. Are you convinced that you might actually prefer to spread your brown and blue out across the room where they can still play off each other but aren’t actually featured in the same piece per se, like you saw before? Then we think you might appreciate the way Bloombety features this room where one colour is chosen as a focal point that draws the eye and the other shade is dotted about the room as a colour pop and accent. Even though you actually adore the way brown and blue work together, are you actually a little more partial to one shade over the other? 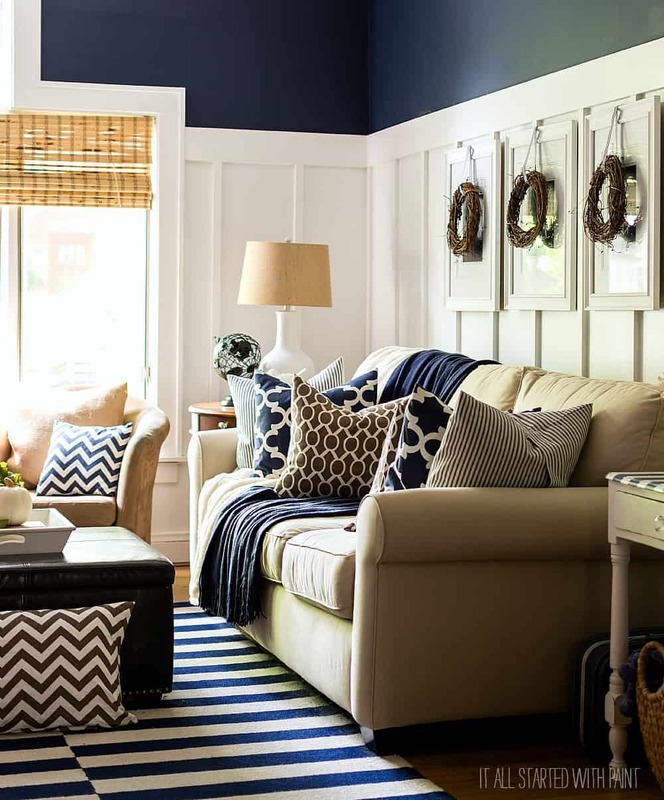 Then perhaps you’ll do better to follow this suggestion from It All Started With Paint for combining one shade of blue with two shades of brown, which they did in order to celebrate darker hues while also incorporating light tones for balance. Did you know that, this past holiday season, blue and brown tones in one place actually trended as a replacement holiday combination for the traditional red and green for those who wanted to try something new? BHG discusses how this is largely due to the fact that blue is bright, cheerful, and wintery like the cold day outside while brown is grounded, cozy, and warmer, creating the perfect balance. This is definitely a scheme we’d consider next year too in our temporary Christmas decor! We’ve already talked quite a lot about the fact that dotting smaller pieces featuring blue and brown around a room and throughout the house can create a sense of cohesiveness when it comes to establishing that as your overall colour scheme, so why not make a few impressive DIY things that you can place proudly on the mantel or side table? 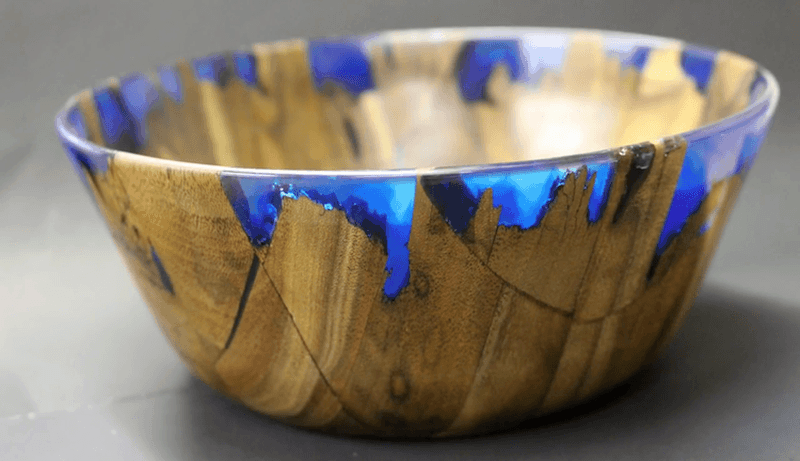 We’re personally obsessed with this stunning blue resin and brown wood trinket bowl outlined step by step on Homecrux! In recent years, combining one neutral and one gendered colour when it comes to baby decor schemes has been a huge trend and it doesn’t look like that’s changing any time soon. It just creates such cozy balance that’s so visually pleasing in photos! 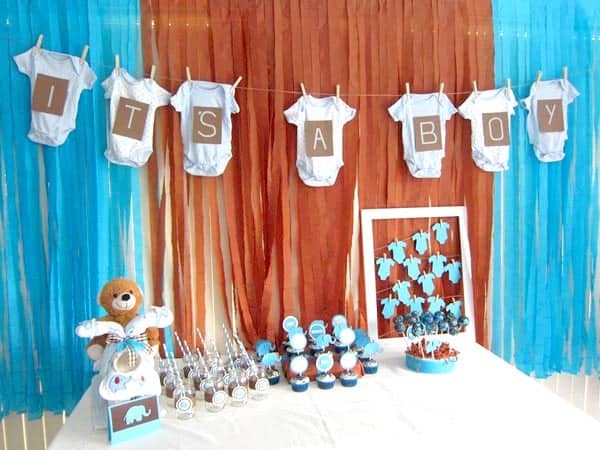 In the same way that parents have been celebrating little girls using light grey and pastel pink, many are choosing bright blue and deep brown for their boys, just like Lique’s Antics did with their tissue paper backdrop and colour themed tablescape here. Are you the kind of person who adores bringing the outside in a little bit whenever you can so that your love for the great outdoors is evident to any guest since it’s such an important part of your life? 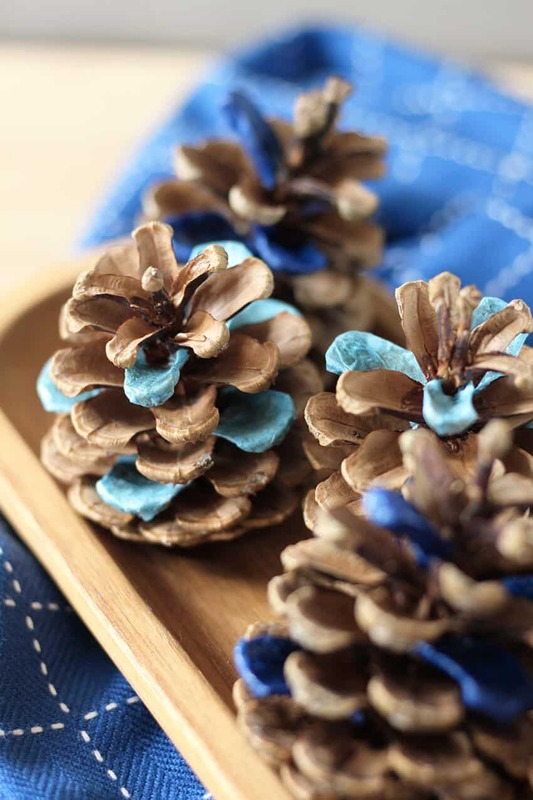 Then we have a feeling you’ll really appreciate the way The Crafty Gentleman got their brown element covered by gathering pine cones and added their blue element with some simple tissue paper decoupage for a subtle colour blocked effect! Sometimes the beauty is in the little details. Were you actually a huge fan of the brown wood and blue resin bowl we showed you earlier, so much so that you can’t help wondering whether there might be other pieces out there to make that are similar? 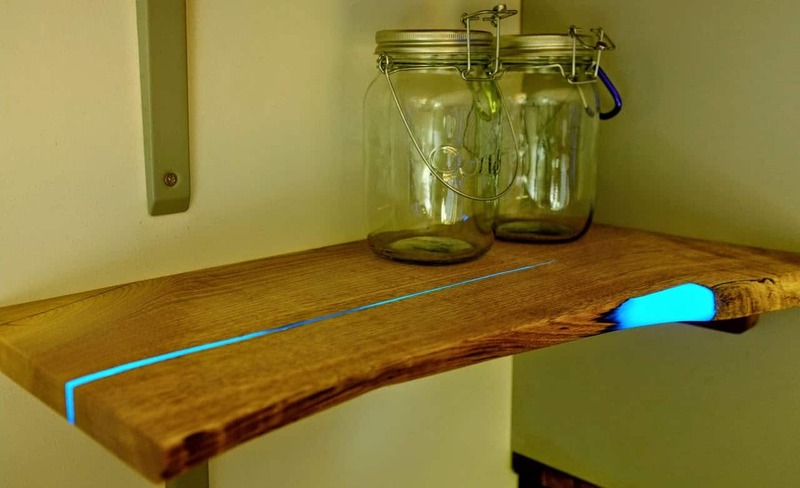 Then we think you’ll be basically ecstatic to learn that not only does Shinium have a tutorial that will help you make a similar brown and blue wall shelf, but that they even include a technique that will help you make the blue inlay glow! Yes, you read that correctly. It actually glows from between the wood. Just because you’re working with the overarching themes of “brown and blue” doesn’t mean you can’t play with your actual shades a little without going off trend! 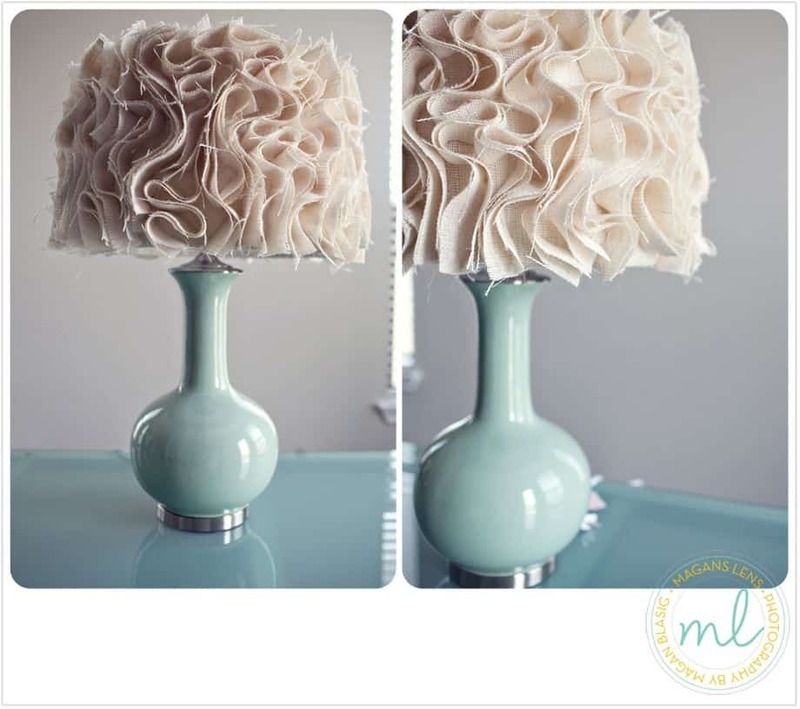 Personally, we’re completely in love with the way Magan’s Lens made this stunning mint and beige ruffled lamp, like a pastel version of a brown and blue piece. It’s actually a homemade knock off of a more expensive Anthropologie brand lamp! Are you actually such a big fan of the brown and blue colour scheme that you wouldn’t mind continuing it into your exterior spaces as well, perhaps putting a couple pieces on your patio? In that case, we have a feeling you might get a real kick out of the way Direct Colors shows you how to make your very own brown and blue fire bowl out of brown concrete and blue chopped fibreglass! 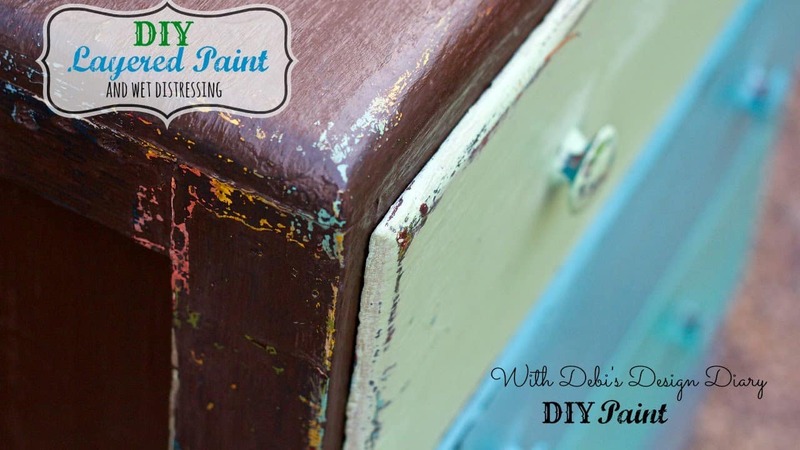 Speaking of awesome trends that have been sweeping in and out of the interior decor world and are now making their way back in, we’re completely in love with the way Debi’s Design Diary shows you how to make a piece that harnesses the weathered beauty of layered paint projects and incorporates the colour scheme we all love so much! Their outline of the wet distressing technique is fantastic as well. 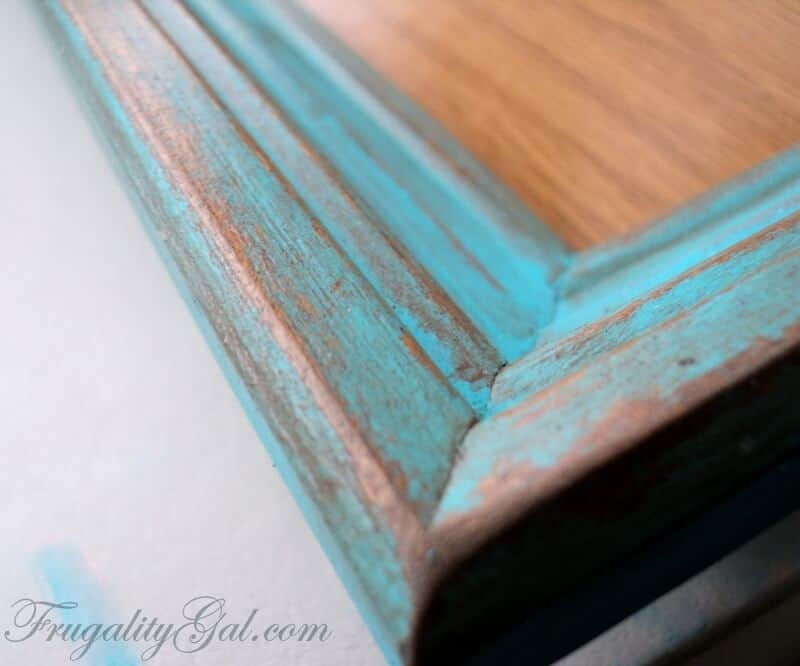 Dressers aren’t the only thing you can create a distressed brown and blue look for, of course! In fact, the two colours together with a bit of weathering actually hearkens back to the kind of wear some vintage and antique pieces from certain eras and decades actually take on naturally. That’s why we loved this blue and brown distressed photo frame concept from Savor and Savvy so much. If you’re going to make some kind of small brown and blue details for your room to add a bit of trending colour to the decor scheme, would you rather have it be something you actually create with your own two hands fro scratch? 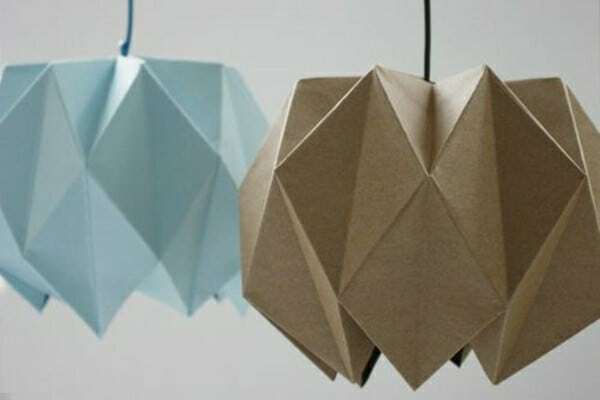 Well, if origami has ever been something you’re interested in then we have a feeling you’re going to adore the way Design & Paper outlines their process for making brown and blue geometric lampshades using that very art technique! Do you actually happen to have a decor or functional piece that already has some of one of your scheme’s shades naturally, so it will kind of blend in with the overall aesthetic? Well, why not get a little creative in terms of customization and add a touch of the second shade to make it really exemplify the combination you’re aiming for? 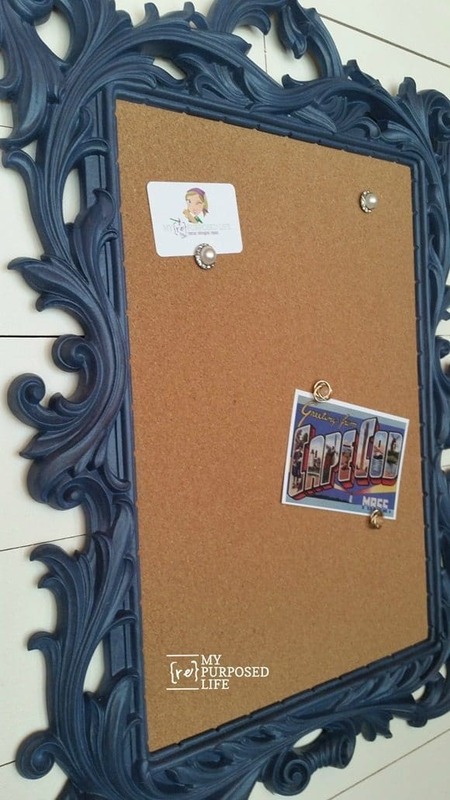 That’s precisely what My Repurposed Life did here when they took a brown cork board for notes and inset it into a lovely old frame that they’d painted blue. The rooms in your house are not, of course, the only places that you can share the gift of how fantastic brown and blue colours look together! We’re actually massive fans of the way Cutting Edge Stencils opted to share that beauty with their loved ones on special occasions too by making their own DIY wrapping paper featuring the scheme. 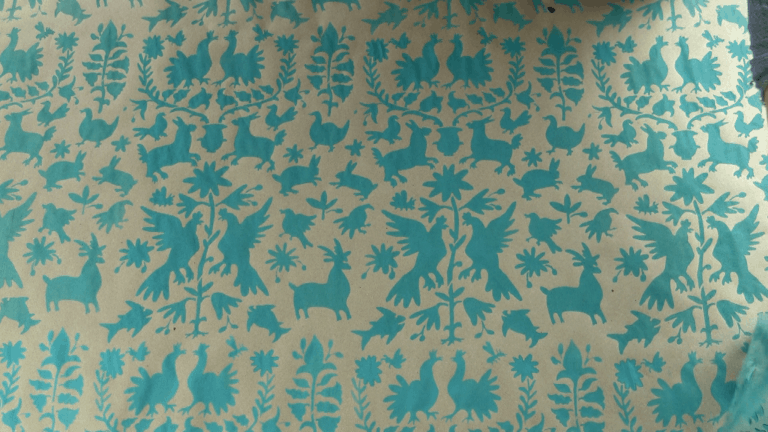 They simply used brown packing paper as the base and stencilled lovely patterns all across the surface in pretty blue paint! Do you know someone else who adores the brown and blue colour combination just as much as we do and has been looking for crafty ways to incorporate some pieces into their home’s decor scheme as well? Share this post with them so they have all kinds of guidance and inspiration!